Commission for Military Cooperation with Foreign States. 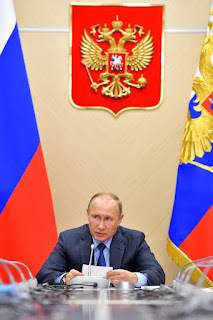 Putin.BLOG Armed Forces Foreign Policy Commission for Military Cooperation with Foreign States. Vladimir Putin held a meeting of the Commission for Military Technical Cooperation with Foreign States. Good afternoon, colleagues. Today we are holding a regular meeting of the Commission for Military Technical Cooperation with Foreign States. Before we turn to the agenda, I would like to mention, or, to be more precise, recall an event that has a direct bearing on our discussion. As you may know, on June 28 the Kremlin hosted a gala reception in honor of distinguished graduates of military academies. It is no exaggeration to say that they are the backbone of our Armed Forces, highly skilled professionals with the most advanced military knowledge. 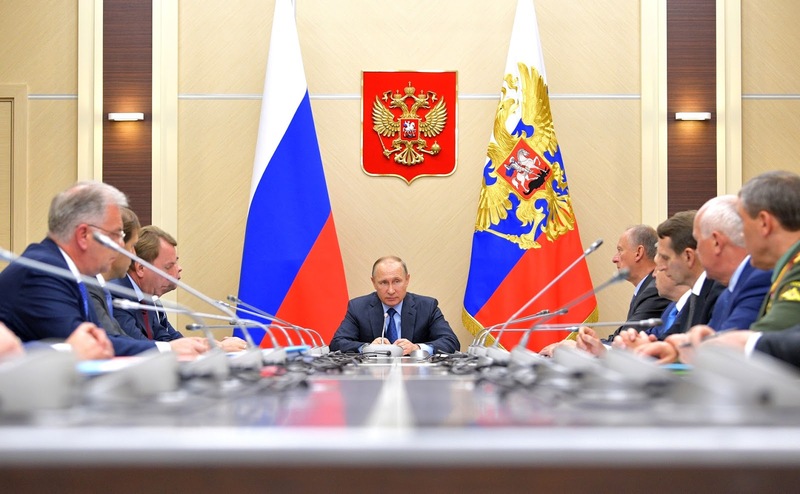 Meeting of Commission for Military Technical Cooperation with Foreign States. I would also like to note that this year over a thousand army service personnel from 30 countries graduated from Russia’s schools of higher learning. About 8,000 foreign students study in Defense Ministry schools, with about a third of them from the CSTO member-states. Furthermore, competition in the world arms market is obviously growing; you know this better than anyone does. The combat efficiency of arms is a decisive criterion for potential buyers. I would like to note that Russian weapons have demonstrated reliability and wide-ranging functionality during the anti-terrorist operation in Syria, something we have discussed. It is necessary to carefully analyze this combat experience both for upgrading existing systems and for developing new and advanced combat hardware. At the same time, it is necessary to enhance the military industrial cooperation framework itself. 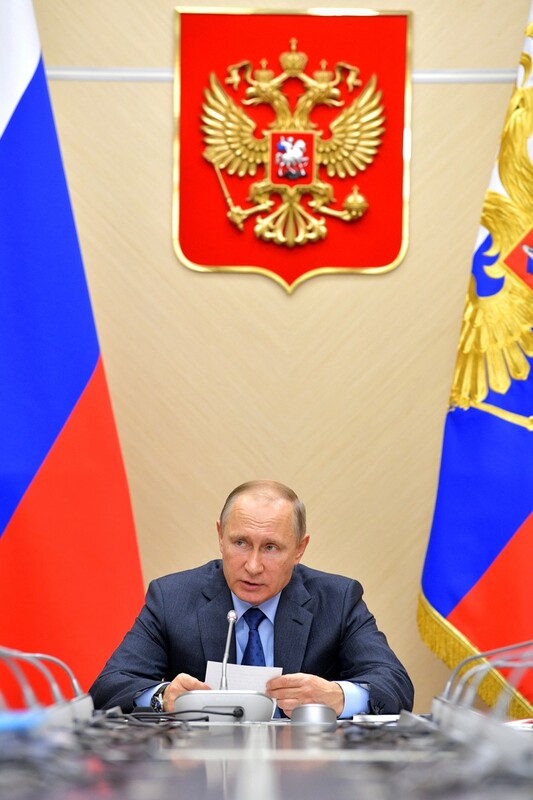 For this purpose, major structural changes have been made to the Russian defense industry. Major defense holdings have been brought together under one administration for the convenience of cooperation, production upgrades and higher financial stability. Several major groups were granted the right to foreign trade, which significantly increases their independence in talks and accelerates contractual work. Moreover, this measure is supposed to make military industrial cooperation easier and more convenient for foreign customers as well. I am referring to the opportunity to directly negotiate with arms manufacturers and to conduct the entire scope of operations from marketing to maintenance and repair of supplied equipment. In other words, these conditions provide for more efficient cooperation between the Russian defense industry companies and their foreign partners for the sake of further innovative development of the domestic industry. I will emphasize that the defense industry companies that were granted the right to engage in foreign trade are assuming all responsibility for the quality of their products and compliance with the contractual terms of their foreign supplies. However, the Commission and other involved agencies should still be monitoring these activities. It is important to prevent any disruptions in the new procedure and to carefully monitor the operations. I already spoke about the current use of Russian weapons, particularly in the fight against terrorists in the Syrian Arab Republic. I would like to thank both the military personnel, and the designers and developers of one of our latest missile systems, Kh-101. This missile system has proved highly reliable. It is indeed the most advanced weapon with high precision and capacity, and a range of 4,500 km, which is quite good. A weapon of this class must be in the center of our attention and the attention of our defense agencies and industrial companies. All our decisions on supplies of arms to external markets are based on the current international situation in various regions – in order to prevent any imbalances and to avoid an escalation of conflicts. On the contrary, our weapons must be used to contain conflicts at the early stages. Let us discuss all these topics in more detail. 0 Comment to "Commission for Military Cooperation with Foreign States."